Mani Govindan is responsible for the company’s DevOps business for ASEAN. He helps key customers to accelerate their business transformation by assuring their key applications and services are reliable, while driving exceptional customer experience through Agile Operations and Continuous Delivery. Mani works with customers to understand their growth strategy and how CA Technologies can help them excel and adopt DevOps practices to ensure quality and velocity of application delivery to meet the evolving needs of the business. He has over 20 years of experience in Consulting and Technology Sales as well as across multiple industries, including Financial Services, Communications, Pharmaceutical, Service Providers and Telecommunication companies. Mani is currently working with customers across the various sectors on strategies and best practices to enable them to take advantage of Business Service Reliability programs to ensure continual improvements in service uptime and the customer experience while addressing evolving business needs, as well as adherence to regulatory requirements governed by the local authorities. 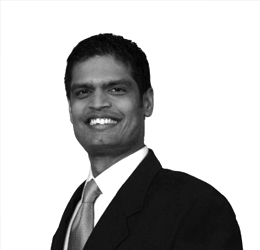 Since beginning his career as a Senior Consultant at CA more than 18 years ago, Mani has held various thought leadership roles to provide consulting services around industry best practices inclusive of DevOps and ITIL to address customers’ requirements surrounding Service Management and Service Excellence. Mani holds a Bachelor’s of Science degree in Computer Science from the National University of Singapore.